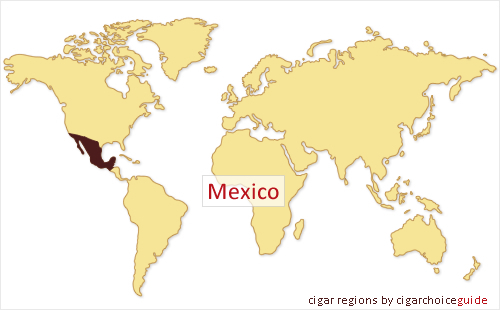 Mexican Cigars are generally cheaper and milder, but flavourful and very aromatic, when compared to Cuban or other Central American cigars. The best cigars in Mexico are made in the town of San Andres Tuxtla, located up in the mountains of Veracruz state; due to the closeness to the Gulf of Mexico and prevailing winds, the "Tuxtlas" region enjoys a mild and humid climate, where tobacco reaches high quality and concentration of flavour. There are several medium-sized cigar companies in the area, giving employment to a great number of experienced cigar makers; cigar-rolling process is made by hand, according with tradition. Several brands are recognized for offering top-quality cigars, among them "Santa Clara" and "Aromas de San Andres".